****PLEASE NOTE: This clock uses a 1 RPM synchronous electric motor compatible with a 110/120 vac line voltage. 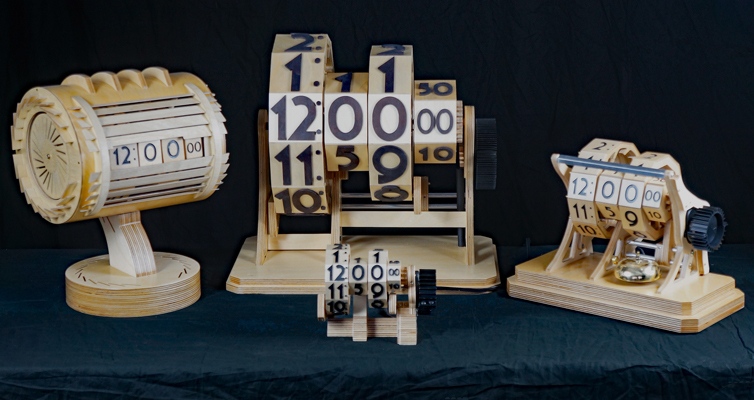 This is the Digital 304, an electric motor driven digital wooden geared desktop clock. 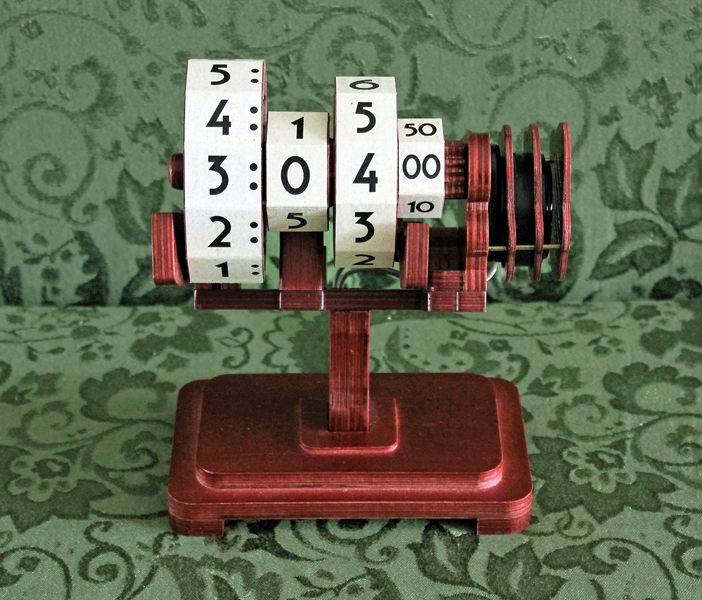 This clock stands nearly 8.25" (21cm) tall and 7" (18cm) wide. See the Digital 304 clock keeping excellent time in the video player below, or see it on YouTube by clicking here. The Digital 304 is a compact desktop electric wooden clock that is simple to build and so much fun to watch. Because the Digital 304 uses a 110/120vac 60hz synchronous motor, this project will only work for countries that use 110/120volt 60hz AC current. 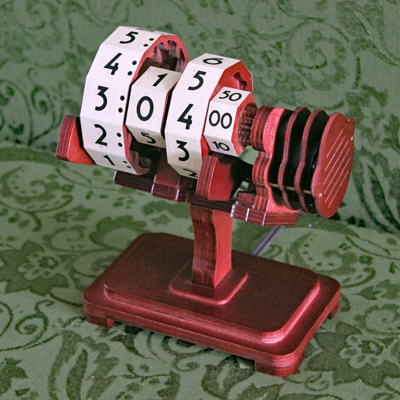 What appears to be a small clock in the center front is his variation of the original desktop Digital 304. Then things started getting bigger. To each side the larger versions are twice the size of the original, and the monster in the center back is four times the size of the original. These variations are not included in my plan, but I hope seeing these inspires you to make your own variation! Be sure to click on the Flick'r pool link below to see more of Forrest's awesome pictures.